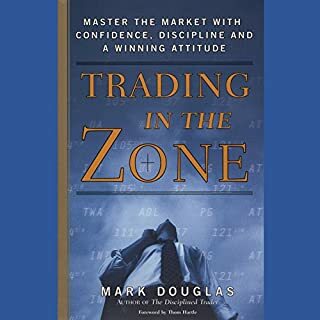 A must read, must have for every trader. quite short with odd good points. Darvas invested his money into a couple of stocks that had been hitting their 52-week high. He was utterly surprised that the stocks continued to rise and subsequently sold them to make a large profit. His main source of stock selection was Barron's Magazine. 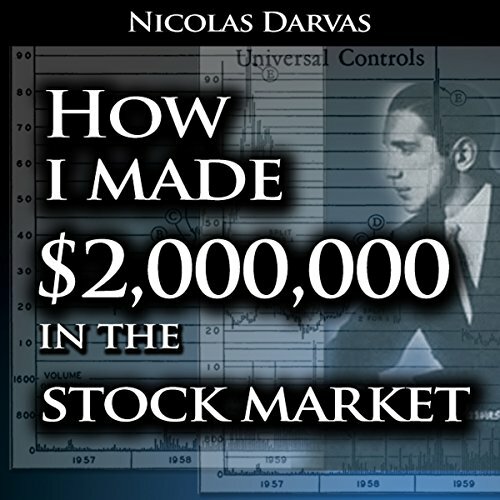 At the age of 39, after accumulating his fortune, Darvas documented his techniques in the book, How I Made 2,000,000 in the Stock Market. 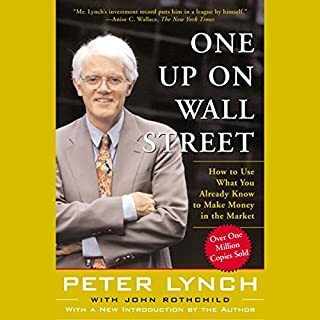 The book describes his unique "Box System", which he used to buy and sell stocks. Darvas' book remains a classic stock market text to this day. 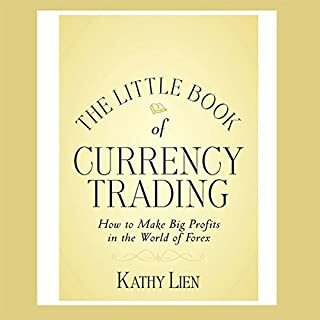 great book for any serious trader. As a fundamental investor I have learnt to use charts to find price action and volume. I use LEAP options where I can or if buying the underlying stock I use limited leverage with trailing stop losses. 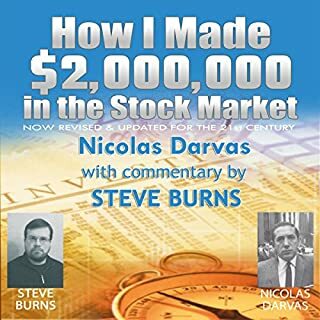 The Darvas system is similar to my trading and after reading this book I believe I have learned how to improve my trading but ultimately like Darvas if anyone wants to learn how to invest and trade successfully there is no substitution for live trading with your own money, not dummy accounts. What did you like best about How I Made $2,000,000 in the Stock Market? What did you like least? The story and the reading of the story are fine. However, there are paragraphs omitted, even pages in some areas. This, at least to me anyway, is not what 'UNABRIDGED' means. I found that some of the abridged paragraphs contained interesting insights from the author and not something that I would have skimmed over if I were actually reading the printed version. If you're going to put the words 'UNABRIDGED' on an audiobook, don't remove anything. I really enjoyed listening to Nicolas's story. A bit of luck launched his investing career. Repeated failures almost ended it. Determination, self examination, and lots of hard work led to eventual success and a repeatable method to consistently make money in stocks. 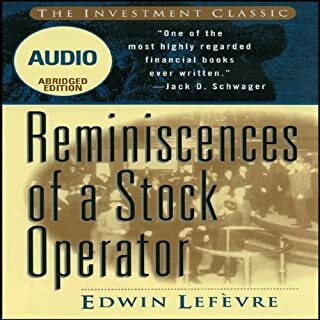 As I listened to the story, I could see elements of Reminiscences of a Stock Operator by Edwin Lefevre, Market Wizards by Jack Schwager, Rule #1 by Phil Town and How to Make Money in Stocks by William O’Neil. 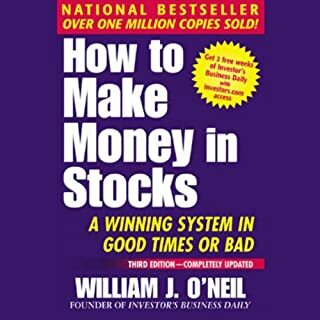 What Nicolas discovered was that to make money in stocks, he needed to 1) find the right company and put it on a watch list; 2) wait for the stock price to start moving up before buying in; 3) always protect the downside by placing a protective stop, 4) sell losers and keep winners; and 5) sell when the price stops going up. Nicolas's “box” method is very close to the Turtle trading method. It can work spectacularly well, but it does require discipline. He made money as long as he remained disciplined. He lost money when he failed to be disciplined. Excellent story, great message, I highly recommend this listen. this is a story about a man just getting into the stock market with $3000 and with a creative strategy, a lot of trading and a bit of luck managed to make 2M in 6.5 years. 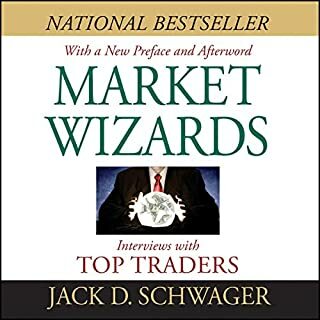 inspiring in that this man knew what he wanted to do and practiced every day to master this skill but also annoying that this book is made up 70% of the author listing off the stock trades he made. 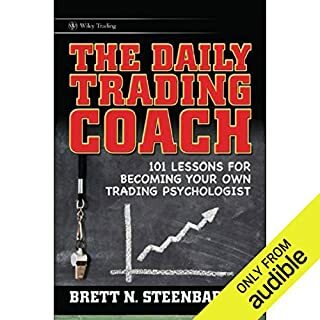 the method that he uses is only breifly described in comparison to the rest of the content (listing off stock trades) which was what brought me to this book in the first place. I should also mention that the story in this book is based on his trading in the mid 1950s. overall I am just interested enough about this method to check out his website but I am very disappointed that he did not cover his stock picking strategy in more detail. The author was too granular. There is no need to spend 1/3 of the book describing his individual trades, executing prices etc. Painful! Which character – as performed by Jason McCoy – was your favorite? There are no characters in this book. If you could play editor, what scene or scenes would you have cut from How I Made $2,000,000 in the Stock Market? The total listening time of this book is about 3.5 hrs. 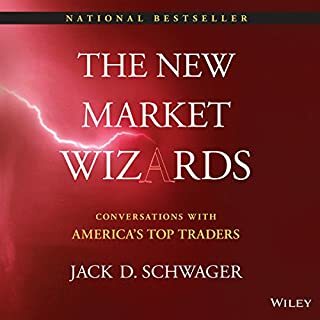 The author spends 1/3 of his time discussing the granular dimensions of his trades. Its a very painful read. An example would be while attempting to describe how he lost money using a specific tactic, instead of saying: This tactic lost me $4000.00, he says: Bought IBM $100. Sold IBM 97, Bought ABX $22., Sold ABX 17.....and he will literally describe 20 trades in the exact same way. He does this throughout the entire book. It almost feels like filler. He has nothing pertinent to say so he lengthens the discussing to fill up pages. In his defense, there are a few good lessons here but by the time you get to them you'll be so frustrated because of how long winded the author is you'll be forced to rewind. Not worth the money spent! 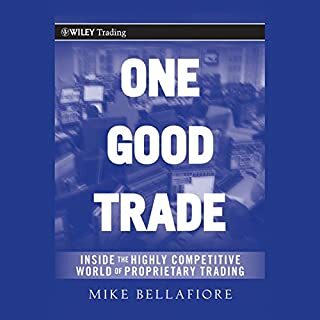 I was skeptical that a book about a trader in the 1950s could have much practical value today. I was totally wrong. 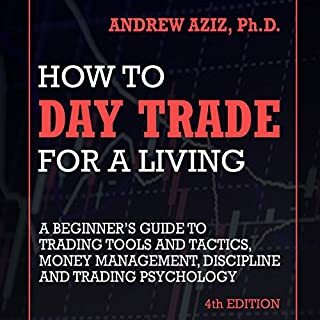 The psychological aspects of trading and risk management techniques portrayed in the book are absolutely relevant to trading in the 21st century. 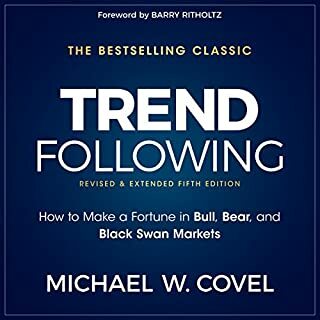 A must read for any type of trader. 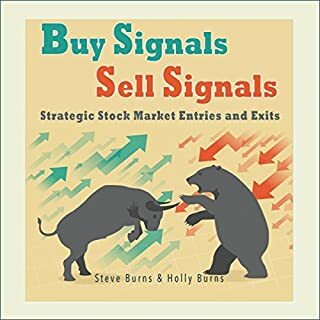 The story is good, it helps you understand the thoughts and progressions one goes through while developing a profitable market strategy. Although I feel he did do good selecting his stocks, I would say that luck did play a good part as they say when he had a hunch he bet a bunch as opposed to todays recommendations of risk management, so it would be hard to reproduce similar results unless your willing to throw the majority of you funds in just a few positions. Worth the listen still. 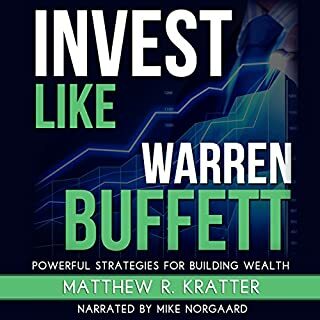 This book gives a great perspective of a investor just starting out and trying to feel their way through the stock market. 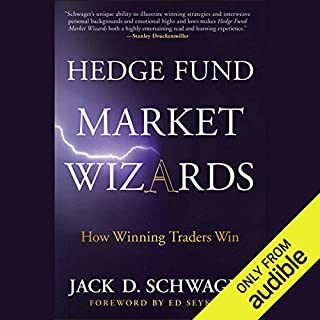 Touches on many of the subjects that hamper new and experienced traders, like over-trading, death by commissions, selling winners and letting losers run, and gambling. Nice to know that someone who succeeded made the same mistakes as you along the way. The non-wall street type innocence of the Darvas. Outdated with examples that are not pertinent. What would have made How I Made $2,000,000 in the Stock Market better? Has How I Made $2,000,000 in the Stock Market turned you off from other books in this genre? Yes, since this book was published too long time ago, it doesn't reflect todays reality. Who would you have cast as narrator instead of Jason McCoy? Not only is this book instructive, it is inspiring! The protagonist was a regular non-investment type just like most common people. He was a performing artist-a dancer. The book tells the story of a man who was not only intrigued, but fascinated with the stock market and how it worked. 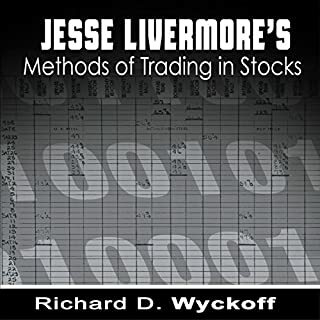 Through trial an error, he finally succeeded with a method of his own making, unconventional for his times, but relatively effective in predicting the movement the stocks he focused on. Although not successful in every case, the method netted him great gains. 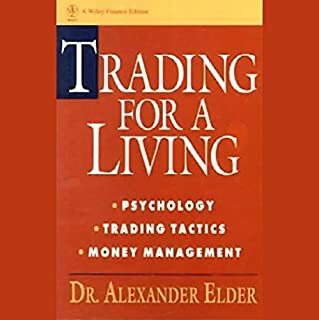 His journey, which occurred many decades ago, teached him (and us, the readers) valuable lessons on how to mitigate risk and keeping emotions and noise (people interference) under control, when trading stocks. GREAT BOOK! Get it! READS LIKE A STORY, a very engaging one! Classic investing wisdom that has aged well. The title is clickbait 60 years before clickbait existed, and parts of the book are definitely period pieces, such as dealing with suspicious Japanese telegraphers who thought his stock symbols might be a sign of espionage. But if you can look past the cheese-ball title, and occasional anachronisms, there is a ton of great advice here. 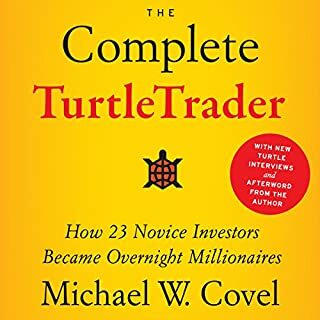 The learning process he describes, his mistakes, his flawed reasoning and false assumptions will be instantly recognizable to most of us who have tried our hands at being our own fund managers. The solutions he gradually and painfully comes up with for those problems remain relevant, despite a hugely different investing world, because they are based on the human psychology that drives people to make the same mistakes in the 21st century as they made in the 1950s. I do wish he hadn't put quite so many long lists of trades in however. Narrator does a good job. Reduce speed to 0.9, ignore most numbers, get the idea and get out. Not for value stock traders. Good book to listen to. Good techniques to learn for beginners and experienced traders. Recommended for everyone. finish it in no time. great and fun read. Highly recommend anyone interested in trading! this isn't a tutorial or learning material but from his story you can pick up how the markets work and how her tackled it. This man has taught me an invaluable lessons that will really help me in life. I'm so happy I picked up this book! As I say it will not only help me to become successful in the stock market but it will help me in major life decisions too.